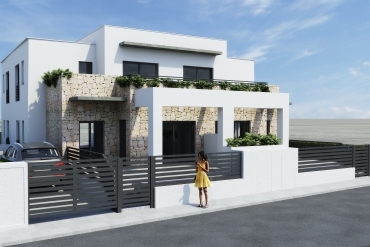 Casas Espania wants to help customers who are looking for a new form of investment, through their New Build Villas for sale in Torrevieja - Costa Blanca. 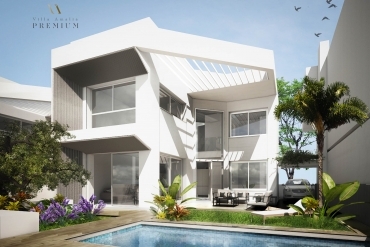 These properties are perfectly designed so that the client can cultivate those foods that he wishes to later use it as a working model. The land has many cultivable meters, so you can harvest different products. Torrevieja - Costa Blancais known for being a rural city, where much of its economy is based on cultivation. If you also want to be part of this sector, our land parcels in Torrevieja - Costa Blanca are your choice. This area is characteristic because it is a very warm place with high annual temperatures. In this way, the food that you can grow in Torrevieja - Costa Blanca, will be characteristic of the Mediterranean area. Normally, torrevieja - Costa Blanca usually has very nice winters, with breezes that help the crop grow. Their summers are hotter, so the most characteristic foods of the summer period, you can grow with all their food properties. 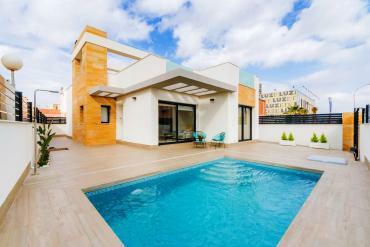 How many New Build Villas for sale in Torrevieja - Costa Blanca does our real estate agency have? 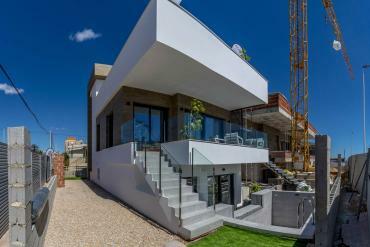 Our real estate agency has a total of 28 New Build Villas for sale in Torrevieja - Costa Blanca so that our clients can observe the qualities of each property and thus, can choose the one that most resembles their purposes and expectations. Most of our plots are in very quiet and safe areas. 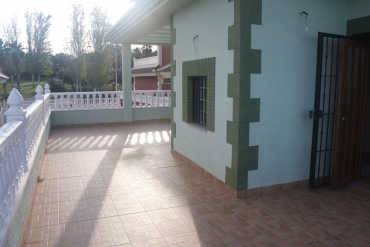 Some areas appeased and prepared to enjoy the best characteristics of Torrevieja - Costa Blanca. On the one hand, you can come to meet our professional real estate agents in person, who will help you at all times, in Torrevieja (Alicante). This office is located in Calle Bizet Shopping Center - Local 6 La Siesta - 03184 Torrevieja (Alicante). In addition, we have 3 telephone numbers so you can call them by phone, and you can ask them any questions: 0034 966 785 202 | 0034 669 366 996 | 0044 114 463 0003. Finally, we have an email so you can write us your requests: info@casasespania.com. On the other hand, we have an office in Orihuela Costa, in La Zenia Golf 4B - Orihuela Costa (Alicante) Our telephone contact are: 0034 965 083 434 | 0034 678 756 648 | 0044 114 463 0003.